With our weather starting to cool the fishing is again picking up. Our anglers are having more room, so to say, as the jet skis are not quite as thick out there. Up on Lake Mohave the striper bite is beginning. The coves up near and around the power lines have been producing a few while near the dam has seen some of the stripers in the 5 pound range. 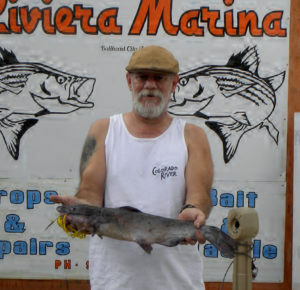 Our local angler Don Calvano (above) landed a channel catfish near the dam bait fishing from shore. His catfish weighed in at 4.12 pounds and was 22 and 7/8 inches. I also heard that the smallmouth bass were going for plastics along the shelves and were in the 2 to 3 pound range. This week its Community Park where the trout were stocked. The shoreline in that area has some great spots where the trout hold up for a nice meal. Your favorite spinner or a nightcrawler is sure to bring one to the dinner table. 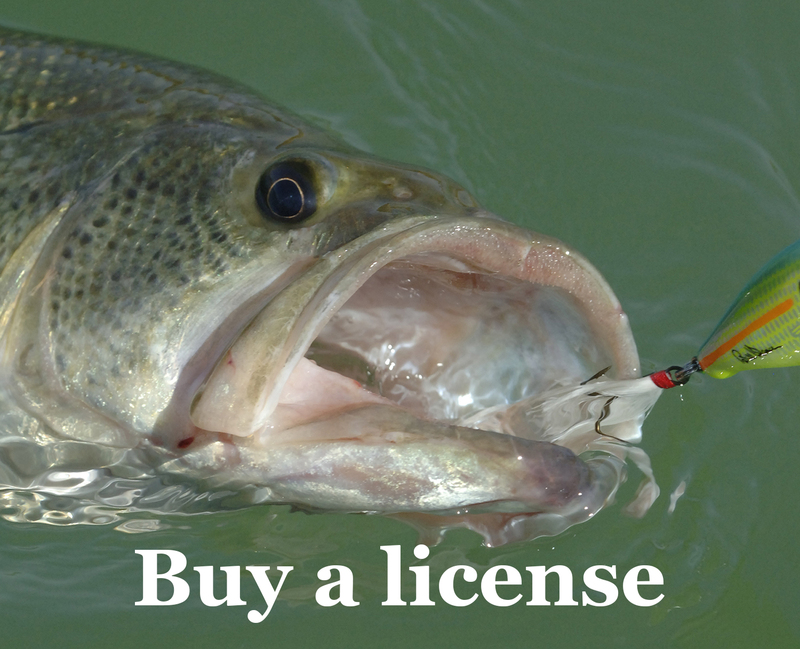 The Casino area is doing well for your striper anglers with anchovies, and your favorite lure is sure to land you a nice-size striped bass. I have heard that they are running 5 pounds or more. The smallies are starting to show up along this stretch of the river. Our last trout plant was at Rotary Park and the bite was a little slow. Mice tails and spinners were working the best. The Topock Marsh is also a great spot for catfish along with the largemouth bass in that area. 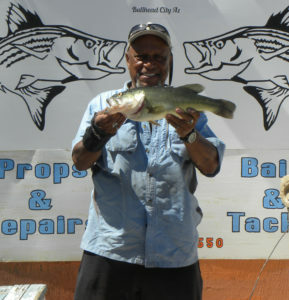 Dayton Grant (above), another local angler that is seen in the marsh a lot, was able to bring in and share his largemouth bass at 3.68 pounds and 19 1/2 inches. This is a bit on the larger size for that area and well over the legal size limit of 13 inches with the bag limit of six for both largemouth bass and smallmouth bass. Hope this helps for now and we will see you in soon with that catch to share. Thanks for all of your support.